If you are a first person shooter (FPS) fan and are looking for the ultimate in virtual reality immersion. Then this new self contained Novint’s XIO Gaming VR Simulator Prototype is definitely something to keep your eye out for. 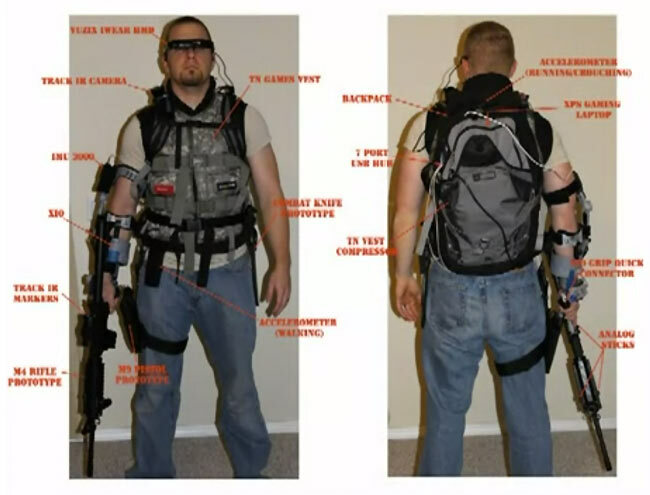 The rig is a self contained virtual reality suit that allows you to play FPS games with a heightened degree of immersion thanks to the head mounted display, 3D vision, vest, advanced gun grips, walking and crouching tracking using Novint’s F-Gen drivers. For a detailed explanation and a walk through of the prototype system watch the video after the jump. Novint’s XIO has been designed to work with around 50 PC titles, including Valve games such as Half Life and TF2, but the Xio can be also used to play any PC game, with its enhanced force settings which for many games will be continually created. The system is sill currently under development and unfortunately no information on pricing or worldwide availability has been released as yet, but as soon as it becomes available we will let you know.